Dr Willmar Schwabe India Dizester Digestive Tonic is used for digestive disorder. 1-2 teaspoon 2-3 times daily,1/2 teaspoon every 1-3 hours during acute indigestion. Children should be given half of the adult dose. 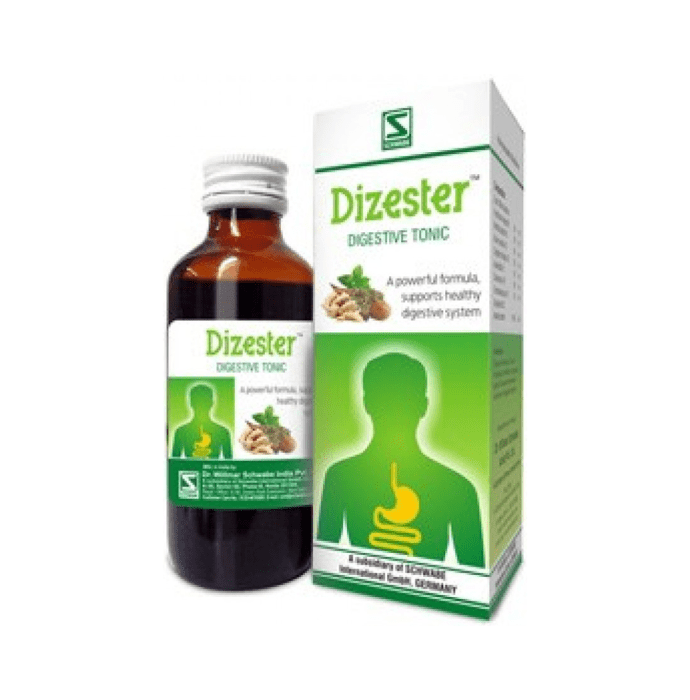 A licensed pharmacy from your nearest location will deliver Dr Willmar Schwabe India Dizester Digestive Tonic. Once the pharmacy accepts your order, the details of the pharmacy will be shared with you. Acceptance of your order is based on the validity of your prescription and the availability of this medicine.